Under a Crescent Moon last night, a diverse army of dissatisfied American citizens - Black, White, Latino, Asian, Native American, youth, elderly, Democrats and Republicans, Independents and others - elected Illinois Senator Barack Hussein Obama as the first Black President of the United States. He changed the U.S. electoral map by gaining 364 electoral votes and 52% of the country's overall votes, so far. Kenya declared today a national holiday, according to Agence France-Press. "Uncontrollable joy and achievement! What drew my tears was I thought about the price that was paid to get to last night...Schwerner, Goodman, Cheney...we often belittle our Civil Rights Movement but that's what made it possible. The Civil Rights Movement was victorious last night," said Rev. 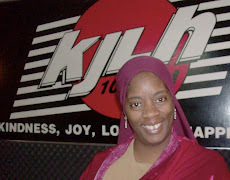 Jesse Jackson during an interview with Dominique DiPrima and Greg Johnson of KJLH Radio/102.3 FM's "Front Page" talk radio show. In a heated, highly anticipated county-wide race, California Assemblyman Mark Ridley-Thomas topped L.A. City Councilman Bernard Parks for the 2nd District Supervisor's seat. President-Elect Obama's win signifies a great achievement and culmination of endless sacrifices and endurance, but this is a beginning of greater struggle and hard work, for there's still much work to be done for the poor and under-served masses. Check in later today for results on some of the State and County measures and how we can continue to work for the poor, underserved, under-represented as we relish this moment. More analysis on President-Elect Obama's victory in the upcoming issue of the Final Call. 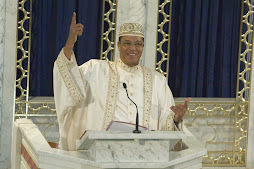 If a 'BLACK' MAN can become the President of 'America' because he so DESIRES, how much more shall The ALMIGHTY GOD, ALLAH, GOD of Abraham, make 'A WAY' for the children of men to become PERFECT and walk uprightly before ALLAH if they DESIRE to do THE WILL OF GOD ALMIGHTY. "Be ye Therefore PERFECT, even as your FATHER which is in Heaven is PERFECT." YES, I CAN become PERFECT right here on/in this earth, and by the grace of ALMIGHTY GOD I WILL BE. "I was moved by the purity and the sincerity of the Spirit of our people who have been struggling for centuries for some kind of "victory" that would give us a sense of vindication...that we ARE Human Beings, and that we ARE entitled to the Best that this society has to offer, since this society took from us the Best that WE had to offer. It was wonderful to witness...to experience." Greetings Family as I am so proud of our brother's accomplishment despite the challanges he faced. I see this as a new birth for the United States and the world. 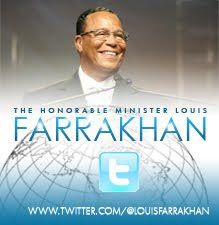 The Honorable Elijah Muhammad taught us about the pain of birth and development so in my humble I conclude that the experiance of slavery and injustices were those birthing pains. Now there is a new born feeling in the people as we and the world watch carefully the growth of this child (new leadership) As with any child there are stages and patience with said child is need so I applaud President-elect Obama for stating that so skillfully in his victory speech last night. May Allah be with him & us but let us still not take our eyes off the guidance of the Honorable Elijah Muhammad through his student in our midst today The Honorable Louis Farrkhan. A night I will never forget but I did not know there was a crescent moon! That's interesting!